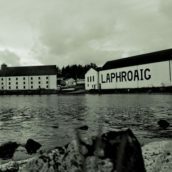 But they did one final celebratory release, saving the best for last – Laphroaig 32 Year Old, as previewed at The Whisky Show’s sold-out 200 Years of Peat masterclass. 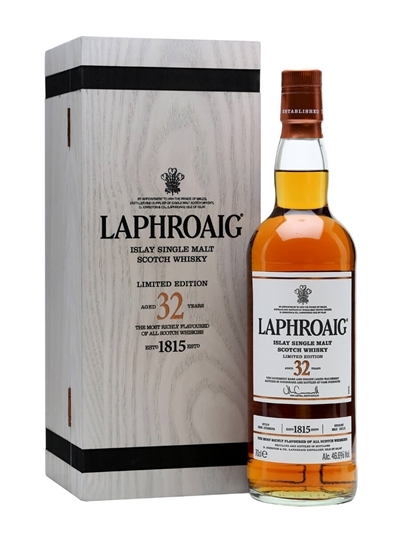 Like many of the other legendary, long-aged Laphroaig releases, the new 32yo is all about sherry casks. To put the whisky together, distillery manager John Campbell sourced a variety of casks, including refills and spirit aged for up to 35 years. The finished whisky is bottled at cask strength with no added colour (and a clear glass bottle to show the liquid’s deep red hue) and no chill filtration. Nose: Blackcurrant and liquorice sweets, damp bracken and smouldering hay. 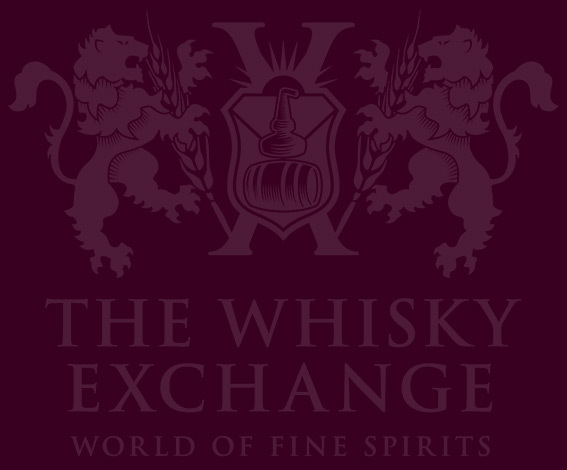 It smells old, with classic dunnage warehouse flavours of bung cloth and earth joined by rich peat. 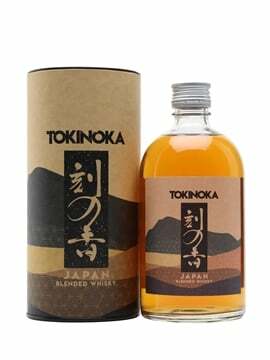 The traditionally sharp medicinal notes of TCP and sea-spray ozone sit on top as a contrast, although sweet notes of icing sugar, chocolate butter icing, candied fruit and boiled sweets keep things balanced. 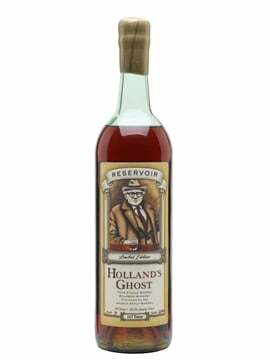 Palate: Rich peat, dark chocolate and damp-forest campfires – earthy rancio, tree bark and burning pine needles – red berries, cinnamon spice and freshly cracked black pepper. 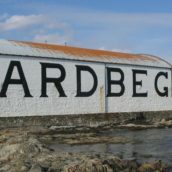 Behind the earth and spice are the sweet-and-sour fruity notes that you’d expect from a Laphroaig of this age – apples (sweet, sharp and baked), mango, star fruit, lime skin and bitter orange peel – as well as dark, sweet liquorice. Finish: Big and spicy to start, with tingly black-pepper heat. 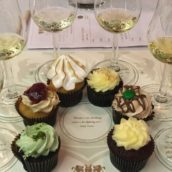 The flavours fade slowly, leaving liquorice, chocolate sauce and stewed fruit. 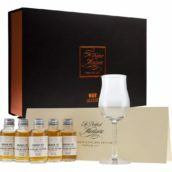 Comment: Much more intense than I expected from the small number of other well-aged Laphroaigs I’ve had the opportunity to taste. 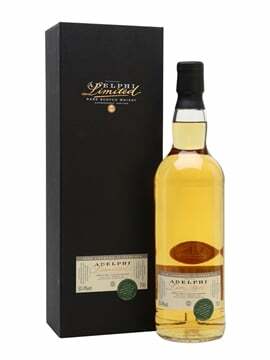 It has the fruitiness that I love in their whisky once the peat has started to fade, but also has lots of smoke and a punch of flavour from the sherry casks. 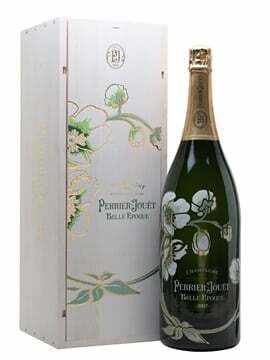 There were only 6,000 bottles available worldwide and most have now sold out. We have just a handful and they’ll be hitting our website on the afternoon of 13 January. If you’d like to receive an email when it goes live, click through to our website and sign up by hitting the Notify Me button.